If you are an employee, you will at one point need to write a letter asking for leave or vacation. 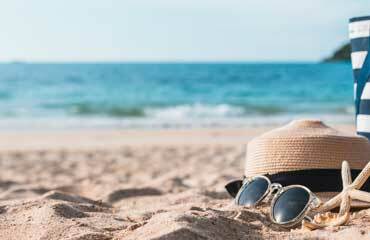 A Vacation Letter is a formal appeal by an employee to his or her employer or supervisor requesting for days off from work. This is a formal letter and therefore the tone of the letter should be formal all through. To maintain formality in your writing, you must pay attention to the format /layout of the letter. You must also be able to keep it straight to the point. Writing such a letter can be difficult for some people but with the right guidance, it can be made easy. The best guidance for this is to use a sample vacation letter when writing and this will make it very easy for you to write. If you are working in a big organization, with various departments that have several team members in it, you need to first of all include your name, contacts and the department for your boss to easily know who is placing this request. This is also important for filing purposes. This is the current date on which you are writing the letter. Make sure you use the correct name and contact of your employer or your supervisor, who will give approval to your request. The subject for this letter should be about your request for leave of absence. It should be straight to the point and short. This should include the name of the person approving your leave. You definitely should know the name of your boss and therefore should address them by the name. The address should be formal, that is Mr. or Mrs. The body of your letter is where you present your case at. The format of the body is supposed to be formal. Make sure that you maintain a single line space for the paragraphs and double line spaces in between the paragraphs. In this paragraph, you give reasons on why you are applying for this leave as well as the dates on which you wish to start and end your leave. You need to explain on how you wish to delegate the duties that are under your responsibility. You will do this in the second paragraph and state that you are within reach in case you are needed before your leave ends. In this paragraph, you kindly thank the person granting you the leave for his time and if necessary, give the contacts on which you would want them to contact you. The closing of a formal letter should simply be formal. Some of the formal way of closing is ‘sincerely yours’, ‘best regard’ and ‘yours truly’. You simply end the letter by signing your name also include any enclosures. This letter is to make a request for vacation time due. I plan on starting the leave (state date) and returning on duty (state date). I have planned on this, based on the discussion we had on (state date). I think you will find my project completion to be more than satisfactory. As such, I have delegated all further duties to my fellow team member, Richardson and sanders. Both colleagues are more than capable of handling any issue which may come up. However, I will be available via mobile and email just in case I am needed. I thank you for your kind attention to my request. In case of any questions you can reach me on (contact information) at your earliest convenience. I look forward to your reply. This is to bring to your attention that I will be starting my annual leave from 10/3/2019 to 12/4/2019. My children wish to visit their grandparents for their wedding anniversary which is an important event for the family. I have delegated all my duties to the head receptionist, Carolyn Smart and based on her performance, I believe she will run the front office well. However, I will be available on my mobile phone as well as email just in case I am needed. The date you plan to return. The aspect of annual leave entitlement.